In this article we look at benefits and drawbacks of using the Madrid system to extend international trade mark registrations (IRs) to, as compared with filing national applications in, China. This article is not exhaustive and only covers some of the more important issues raised by this topic. With limited exceptions, for national applications China essentially strictly follows the Nice Classification IDs, and an applicant will receive an Amendment Notice for any IDs that are deemed “nonstandard”. IDs practice in other jurisdictions often requires that IDs be fairly restrictive—you may not be able to cover “computer programs, recorded” (a Nice ID seen as too broad), but could cover “computer programs, recorded, for use in radiological testing equipment”, which ID China’s Trade Mark Office (TMO) would likely refuse as “nonstandard”. When it is crucial to a brand owner to obtain the exact coverage that is in the application or registration on which the IR is based, and such IDs would not normally be accepted by the TMO because they do not match the Nice Classification IDs verbatim, using Madrid can be helpful (this is also true where getting a priority filing date would put the IR extension ahead of a pirate national application in China). In principle, so long as WIPO accepts the IDs, those will be accepted in China and merely translated into Chinese and placed in relevant similarity subgroups. The main exception is for IDs that run against current TMO policy, such as for “retail services” (even though WIPO would accept it, that exact ID is not yet accepted in China). The other side of being able to get the exact IDs through without amendment is that the coverage provided by IR extensions based on applications filed outside of China is comparatively narrower than what could be obtained via a national application in China. Extending an IR to China usually leaves huge subgroup coverage gaps in each class, thereby enabling industrious trade mark pirates to get a foothold and try to ransom the brand. For example, in Class 25, an IR may cover different types of clothing items (e.g., jackets, shirts, pants, underwear), all of which would fall into similarity subgroup 2501 in China, but would not cover related subgroups 2502, 2503, 2504, or 2505. 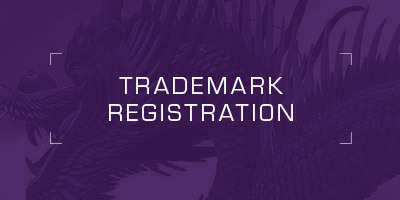 A trade mark pirate who filed subsequently, but only covering items that fall into subgroups 2502-2505, could get its application through without the brand owner’s IR being cited. Contrast this with filing a national application that includes the exact ID “clothing”, which is deemed in China to cover subgroups 2501-2505 and would serve to block the later pirate’s application for the same/similar mark on those goods. This is the benefit of filing a national application—the ability to select one item from each similarity subgroup (and subparagraph therein, where applicable) and thereby completely block subsequent pirate applications in the class. The benefit of doing so usually outweighs the extra expense, and serves to prevent unnecessary oppositions (the outcome of which is frequently also uncertain in China). When it is critical to get the exact IDs through to China and budget permits, best practice would be to pursue a belts and braces approach—file the IR extension together with a “gap-filler” national application in China, to ensure that no similarity subgroups or subparagraphs are left uncovered and available for pirates. IRs are frequently filed to cover more than one class of goods or services. China also accepts multiclass national applications. The difference is that when something occurs in China to affect one of the classes in the national application, it can hold up the entire application, even for classes that were not affected by the issue. For example, an opposition against one class would tie up the entire multiclass national application until resolution of the opposition. This is not true for IR extensions to China. With an IR extension, the other classes would be permitted to proceed independently. This also applies to assignments. In China, there is currently no mechanism for separating out a given class or classes from a multiclass national filing – the entire filing must be assigned. Because of this, and the TMO not discounting official filing fees for multiclass applications, current best practice when filing directly in China is simply to file single-class applications. A national application in China is required to be examined within nine months after application filing date. Contrast this with 12 months (where the Madrid Agreement applies to the IR extension) and 18 months (where the Madrid Protocol applies to the IR extension). If the IR is coming from a Protocol-only jurisdiction, examination time is effectively twice as long as a national application. This also figures into renewal and customs IPR recordation issues, to which we turn last. Renewals of IR extensions are comparatively cheaper than national registrations, but there is a cost when it comes to customs IPR protection. It takes much longer to obtain a TMO-issued certificate confirming that an IR extension has been renewed with respect to China, which usually leaves a gap of many months in customs IPR recordation protection, as China Customs will require the TMO-issued confirmation before it will renew the IPR recordation for an IR extension. Because renewals of national registrations can be filed up to 12 months before expiration, the renewals are usually received and ready to be submitted to China Customs with little or no gap in IPR recordation protection.